This event is planned and delivered by West Lothian Sports Council. Well done to everyone involved in the Annual Sports Club Networking Event held at Howden Park Centre Livingston on 17th May 2018. 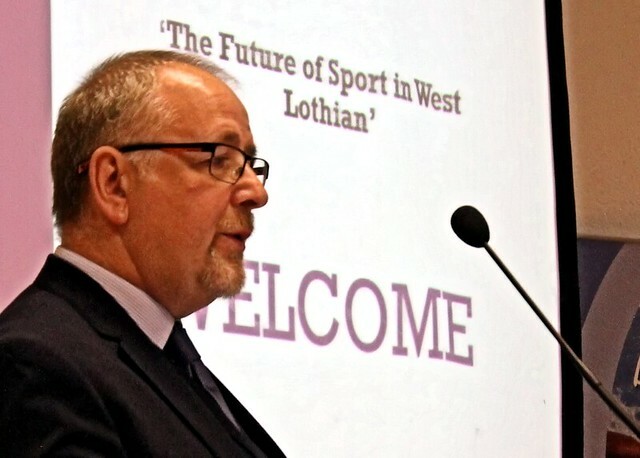 52 Committee Members, Coaches and Volunteers from across West Lothian took part in networking opportunities and listened to presentations focused around this year’s theme ‘The Future of Sport in West Lothian’. Club representatives were also given the chance to put their questions to panel members and invited guests from West Lothian Council, West Lothian Leisure, Resource Efficient Scotland, Scottish Disability Sport and the National Agency for Sport – sportscotland. Members from local clubs GRC Tri and Livingston Rugby Club also presented on the night. Opportunities to share information and experiences with each other, as well as picking up various leaflets/resources on Local Sports Services & Contacts, Funding, Coach Education, Disability Sport, WLSC membership benefits, Community Sports Hubs, Club Accreditation and GDPR were available throughout the event. 28 clubs signed up on the evening representing a variety of 20 different indoor and outdoor sports from across West Lothian. This included Curling, Fencing and Squash who took part in the event for the first time. Feedback from the evening has been very positive and the Local Sports Council is already planning to organise extra workshops throughout the year to look into some of the events key topics in more detail. If you missed out on attending or wanted to share anything from the event with your committee members, all the presentations are available here to download. We have also included follow-up answers to the GDPR questions that were asked on the night. A selection of photographs from the event can also be viewed by clicking the image below.